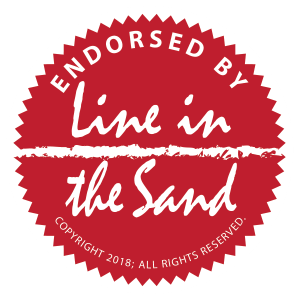 Line in the Sand is proud to support these three candidates who are independent thinkers, have longstanding ties to the community, and believe that representing residents and local business owners should be the Council’s top priority. Tim, Roy and Joy’s philosophies and platforms are in stark contrast to the incumbents they are challenging. Tim, Roy and Joy are all long-time Newport Beach residents whose values and views on issues such as traffic and development, the need for a General Plan update and campaign finance reform are aligned with those of Line in the Sand. All worked actively to defeat Measure Y and the Museum House. Tim, a Newport Beach resident for 15 continuous years, has served on the boards of many local organizations. In particular, he helped promote public-private partnerships for projects such as the OASIS Senior Center, worked actively since 2002 to contain John Wayne Airport and protect the Settlement Agreement and was a founding member of the Friends of the Newport Beach Animal Shelter, of which he is now president. Roy, a Newport Beach resident for 36 continuous years, has served two terms on the Parks, Beaches & Recreation Commission (a total of 11 years), was the only 2014 city council candidate to oppose Measure Y, worked side by side with Newport Beach voters gathering signatures for the 2016 Museum House petition and regularly attends community-based workshops which highlight general plans and the process of updating them. Joy, a Newport Beach resident for 57 continuous years, has been involved in the community for decades, giving her time to countless committees and commissions. She was notably a founding member of the Corona del Mar Residents Association in 1987, oversaw the redevelopment of the popular Corona del Mar landmark Inspiration Point while serving as chair of the Parks, Beaches & Recreation Commission, and most recently spearheaded the Friends of CdM Library community coalition that was actively engaged with city leadership, library trustees and city staff in developing the approved design for the new branch library and fire station facility in Corona del Mar. We ask that you support Line in the Sand’s endorsement of Roy, Tim and Joy. If you are willing to let us use your name in the promotional materials we are developing for these candidates, you can give us permission by filling out the Support LITS Endorsement form below. The same form gives you the option to help distribute Line in the Sand campaign flyers in your neighborhoods. Note: Neither this endorsement nor any portion of this website was authorized or paid for by a candidate for this office or a committee controlled by a candidate for this office. Note: State law prohibits Line in the Sand from sharing its support list with the individual candidates. If you want to help the individual candidates by having your name appear on their websites and promotional materials, please visit the candidates’ websites to do so.